Activation-induced B cell fates are selected by intracellular stochastic competition Ken R. Duffy, Cameron J. Wellard, John F. Markham, Jie H. S. Zhou, Ross Holmberg, Edwin D. Hawkins, Jhagvaral Hasbold, Mark R. Dowling and Philip D. Hodgkin. Science, Jan 2012. The ultimate fate of a cell is determined mainly by an internal process, contrary to previously held scientific belief that the behaviour of a cell was dictated by external factors – that’s one of the findings of a leading team of international multidisciplinary scientists including NUI Maynooth mathematician Dr. Ken Duffy and published in this month’s Science magazine. This discovery could have significant implications for immunology, in particular our understanding and treatment of autoimmune diseases like Crohns, Coeliac disease, diabetes and rheumatoid arthritis. In a unique international collaboration between mathematics and medical science, Dr. Ken Duffy from the Hamilton Institute, NUI Maynooth, is the lead author of the study which was completed by an international team including immunologists from Prof. Philip Hodgkin’s Laboratory at the prestigious Walter and Eliza Hall Institute of Medical Research in Melbourne, Australia. The study was supported by the National Health and Medical Research Council of Australia, the Victorian Government and Science Foundation Ireland. Their research tackled the widely held belief that a cell’s fate was exclusively determined by external cues. Until now, scientists believed that the development of a cell, whether division, death or cellular differentiation into a new cell type, was determined precisely by external factors including the presence of a particular hormone or cell-signaling molecules. This study challenges that belief by showing that a cell’s fate is determined by an internal process, with cells having some control over their own destiny and with external factors providing a probabilistic influence. The team chose to study immune system B cells, which make antibodies, because they are controllable and can be prompted to expand and change type in response to stimulus. B cells undergo cell development common to many systems including birth, division, differentiation and eventual death, and so the study is representative. It is not, however, possible to say that cells in other parts of the body would react in the same way as that has not yet been determined, but the work proposes a significant mechanism that may be common to other cell types. Each B cell has the potential to develop in a variety of ways including division, death, production of antibodies and altering the type of antibody it makes. The study showed that the selection of each of these options is consistent with governance by a small internal clock. The ultimate outcome for that cell is determined by which clock fires first. So if the ‘division’ clock completes before the ‘death’ clock, then the cell divides instead of dying. Until now, scientists believed that external signals determined precisely which fate a cell would pursue. The research demonstrates that randomness plays a more significant role in cell behaviour than previously thought and that external signals serve to shape and influence this randomness. ‘The science community will be surprised at the random behaviour of individual cells. Even though the cells in the study were exposed to the same external signals, there was still considerable variation in what happened to each cell,’ said Dr. Duffy. ‘We recreated the conditions required for B cells to develop and then filmed the resulting behaviour. Current teaching says that cells in identical conditions will react in the same way. However, our research shows that the fate of the cell is determined by which clock fires first. The importance of this research is that these clocks can be manipulated by external signals,’ said Dr. Duffy, adding that the research is of great use in understanding the immune system and therefore in determining how to manipulate same to fight infection. The actual manipulation of the internal cell clocks could potentially be manifested by administering a cocktail of cytokines. These small molecules that float around cells, eventually bind to the cell receptors and induce certain behaviour in that cell. 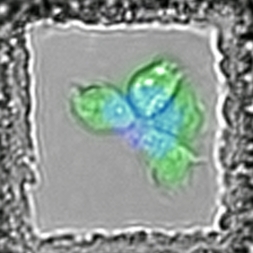 Certain cytokines influence some clocks and not others so by changing the makeup of the cytokine mix, the likely winner of the clock competition can be altered. The collaboration came about when Professor Phil Hodgkin of the Walter and Eliza Hall Institute of Medical Research in Melbourne, Australia visited NUI Maynooth as a SFI Walton Visitor Professor for a sabbatical in 2007. He gave a lecture which Dr. Duffy attended, detailing deductions from 15 years of study into this area. Dr. Duffy realised that his expertise in mathematical probability would have a significant contribution to make to the work in achieving optimum results from the collected data and so the two began their fruitful collaboration. The team is now planning to study T cells, the influential immune system cells which fight viruses, to ascertain if the findings are replicated there. Their ultimate aspiration is to help design new immune therapies for autoimmune diseases and improved vaccines. ‘The work of Ken and the international team is an extremely important contribution to the scientific record and its publication in Science this month is well deserved. NUI Maynooth staff and students are tackling important, complex questions in every field of study and that is something which is part of the University’s DNA. Our mathematicians are among the strongest in the world as evidenced by Ken’s leading role on this study’, said NUI Maynooth President, Professor Philip Nolan.